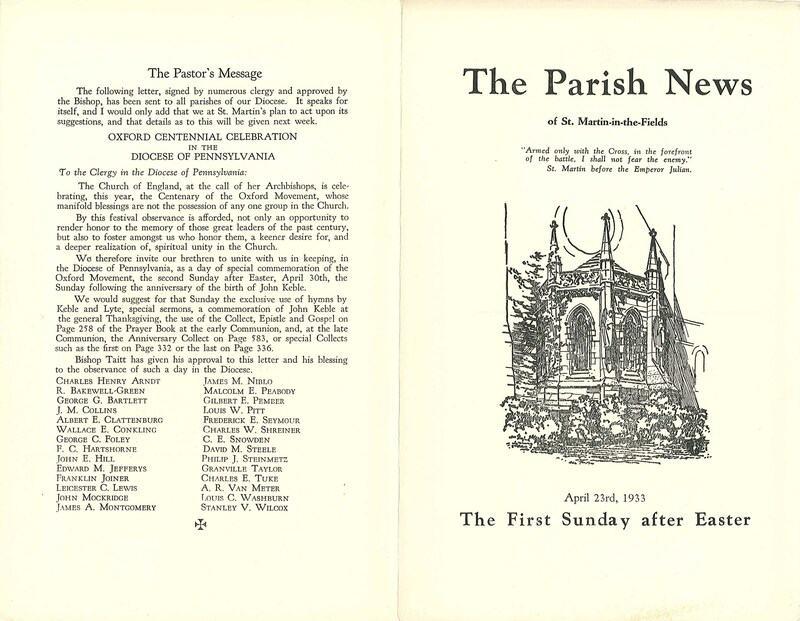 This entry was posted in Memorial Church of St. Paul (Overbook) and tagged Archives of the Diocese of Pennsylvania, George G. Bartlett, Overbrook, West Philadelphia on July 18, 2018 by mjk38. 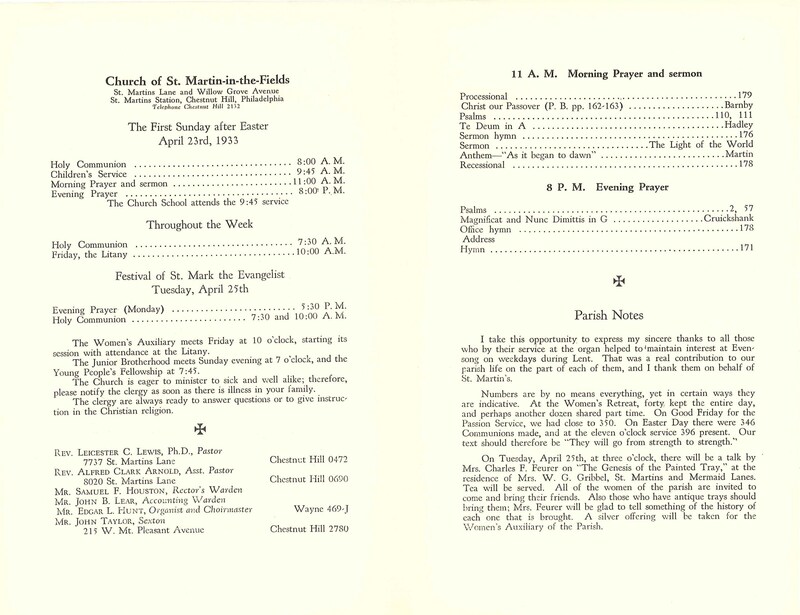 This entry was posted in Church of St. Martin-in-the-Fields (Chestnut Hill) and tagged Albert E. Clattenburg, Alfred Clark Arnold, Allen R. Van Meter, Charles E. Tuke, Charles H. Arndt, Charles W. Shreiner, Chauncey E. Snowden, Chestnut Hill, David M. Steele, Edgar L. Hunt, Edward Miller Jeffreys, Franklin Joiner, Frederick E. Seymour, George Cadwalader Foley, George G. Bartlett, Gilbert E. Pember, Granville Taylor, James A. Montgomery, James M. Collins, James M. Niblo, John C. H. Mockridge, John E. Hill, Leicester C. Lewis, Louis C. Washburn, Louis W. Pitt, Malcolm Endicott Peabody, Northwest Philadelphia, Oxford Movement, Philip J. Steinmetz, Stanley V. Wilcox, Wallace E. Conkling on November 3, 2015 by mjk38. 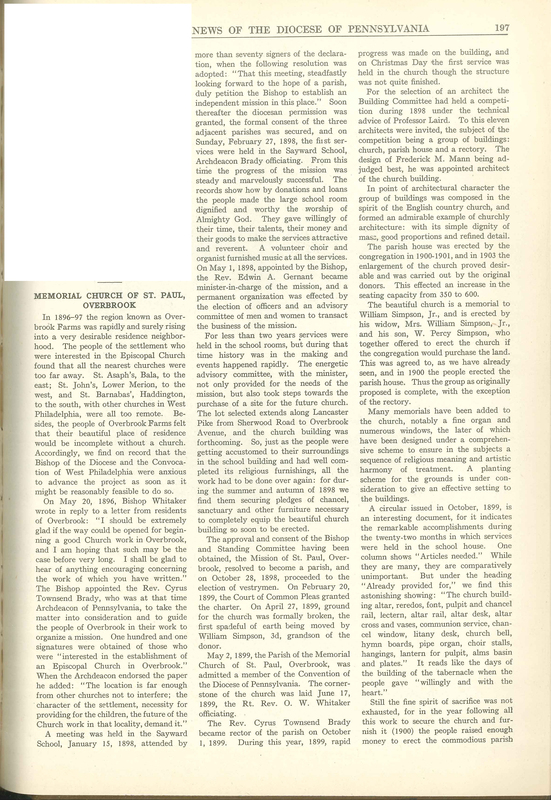 This entry was posted in Memorial Church of St. Paul (Overbook) and tagged Church News of the Diocese of Pennsylvania, Cyrus Townsend Brady, George G. Bartlett, Joseph Fort Newton, Overbrook, Robert Norwood, West Philadelphia, William R. Turner on February 28, 2015 by mjk38. 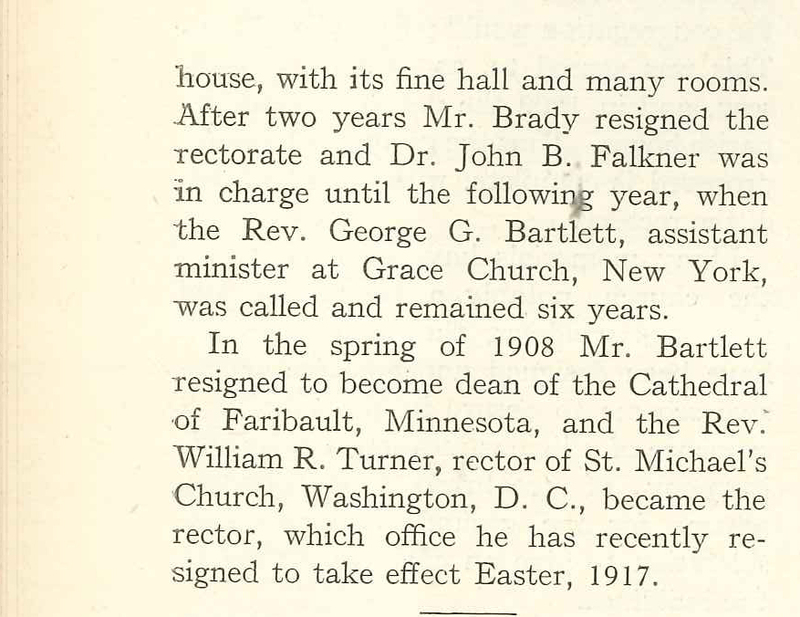 This entry was posted in Memorial Church of St. Paul (Overbook) and tagged Church News of the Diocese of Pennsylvania, Cyrus Townsend Brady, Edwin A. Gernant, Frederick M. Mann, George G. Bartlett, John Blake Falkner, Overbrook, Overbrook Farms, West Philadelphia, William Percy Simpson, William R. Turner on May 17, 2014 by mjk38.